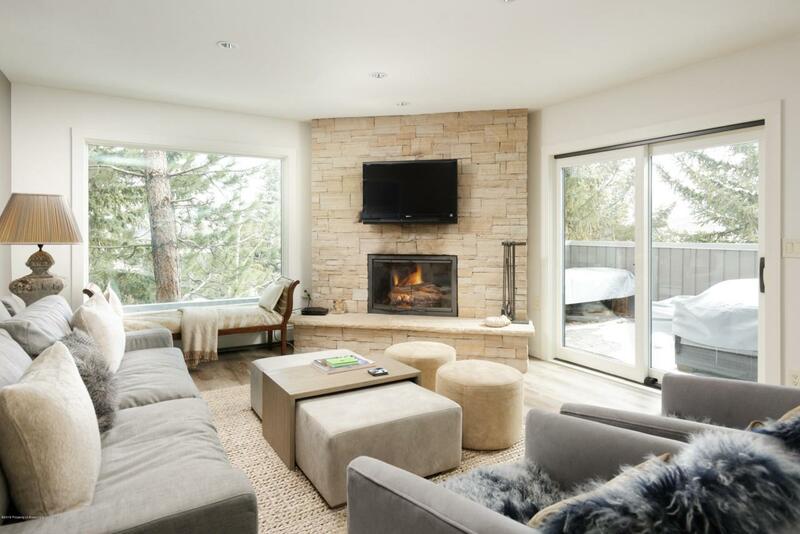 122 Meadow Ranch Road, Snowmass Village, CO 81615 (MLS #158786) :: McKinley Real Estate Sales, Inc. Beautifully remodeled 3 bedroom 2 1/2 bathroom 1623 square ft. condominium in Meadow Ranch. Corner unit with with two patios, an abundance of natural light and beautiful views. Remodeled in 2018 with new Pella windows and patio doors, new flooring, Stanton Maracanda sea gray carpet, Akoya Pearl Quartz countertops and backsplash, Miele stainless refrigerator/ freezer, new paint and custom lighting. Wood burning fireplace, washer dryer and plenty of storage make it idea as a primary residence or second home.